Harold is just your average, racist, abusive, controlling fish father with a cliché stay-at-home housewife, homosexual teenage son, and intruding duck neighbor. 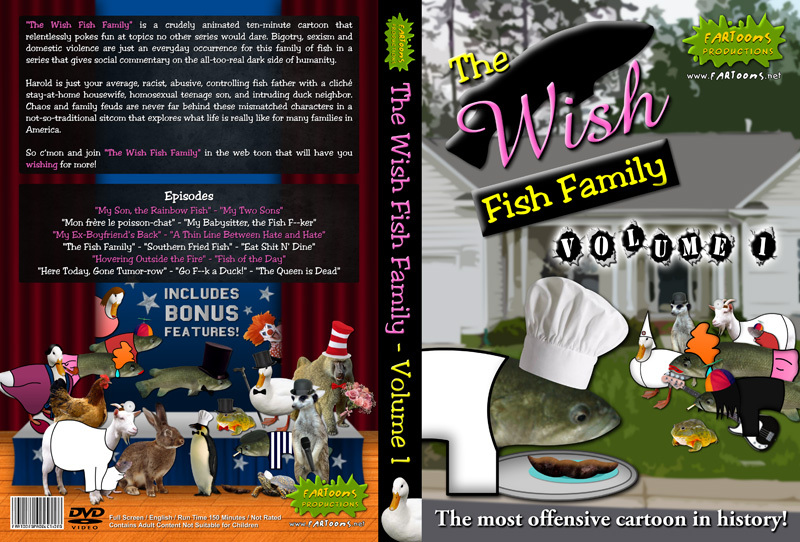 Chaos and family feuds are never far behind these mismatched characters in a not-so-traditional sitcom that explores what life is really like for many families in America. 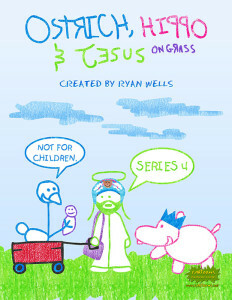 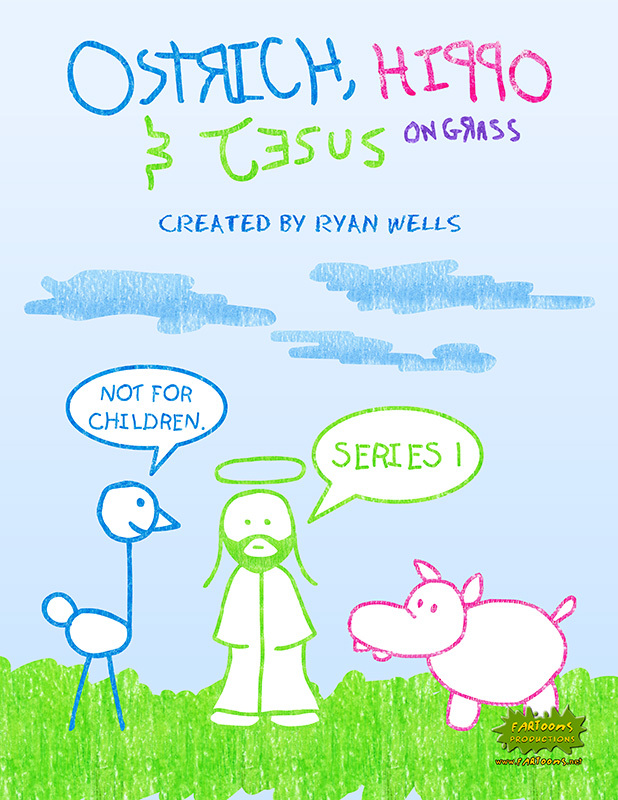 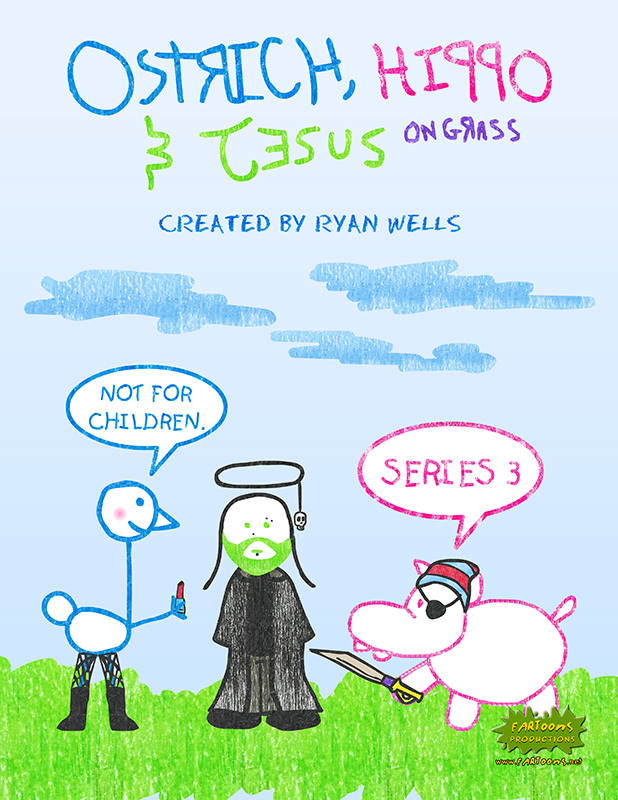 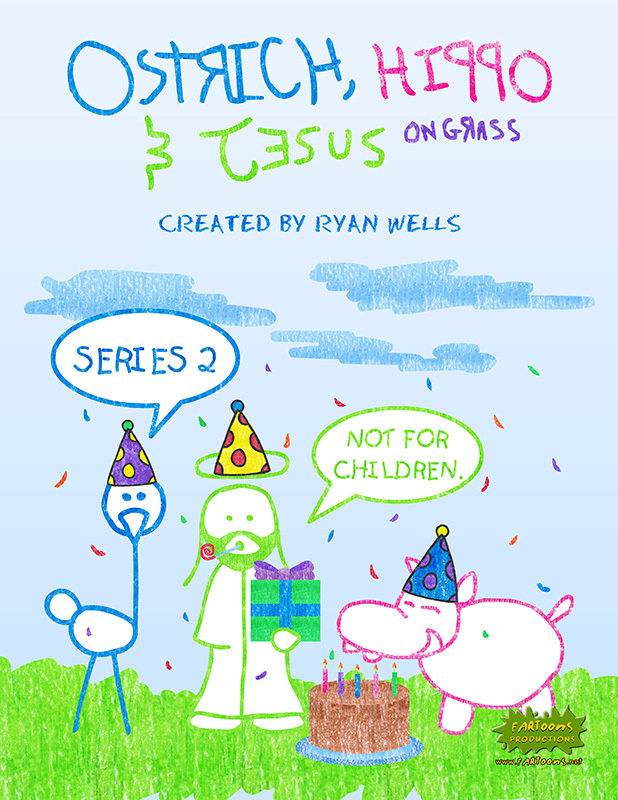 “Ostrich, Hippo & Jesus on Grass” follows the lives of three friends who spend their time standing in the grass doing nothing. 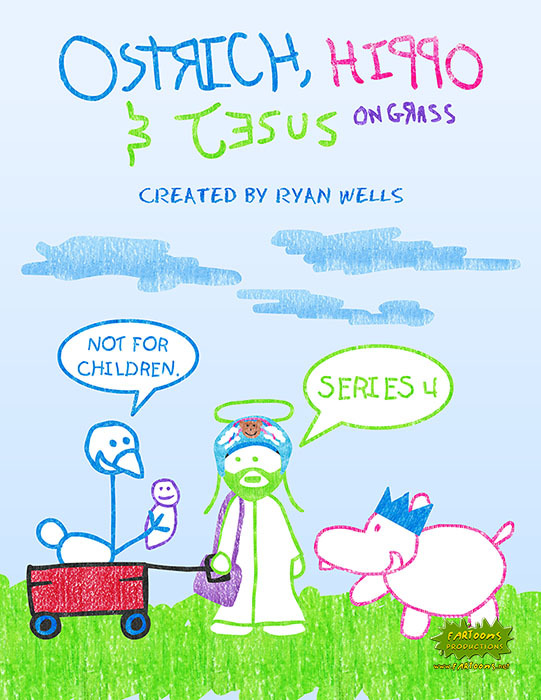 See the gang take on taboo subjects from race to religion to disease along side their pals The Basket, Bobo the Alligator, and The Grand Wizard. 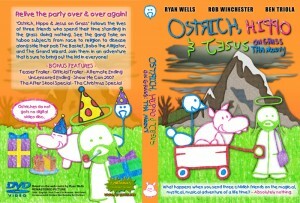 Join them in an adventure that is sure to bring out the kid in everyone! 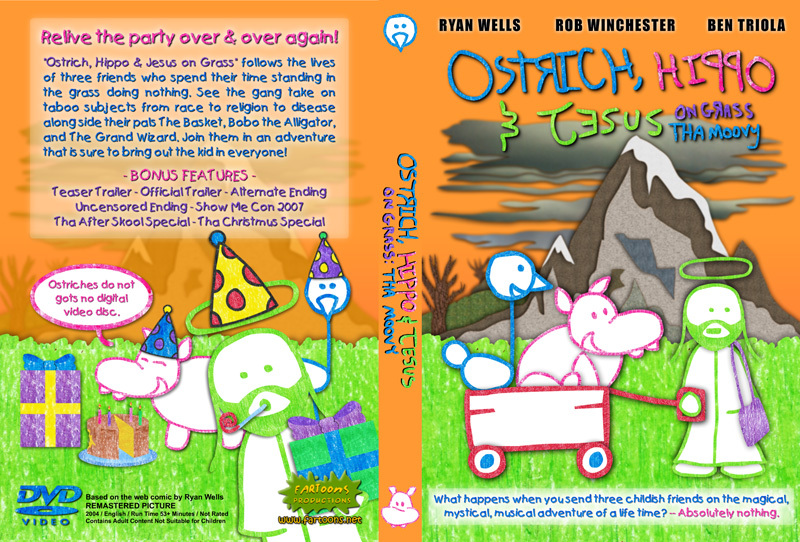 For over the past decade animator Ryan Wells has pushed the boundaries of free speech on the internet with relentless cartoons poking fun at American society. 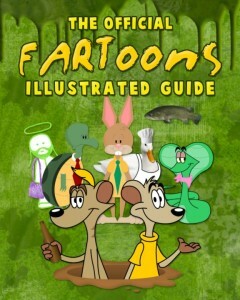 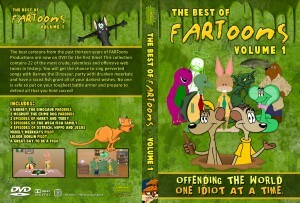 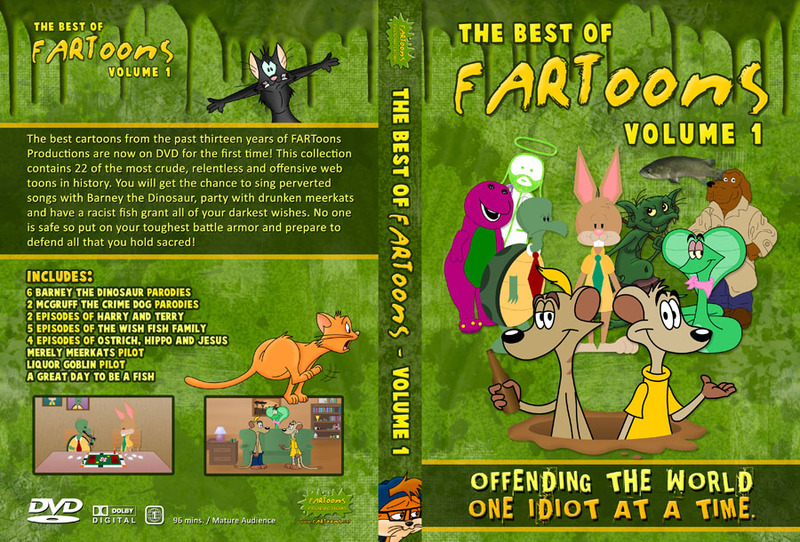 This book is a guide to all the best – and worst – FARToons created from 2002 to 2018.